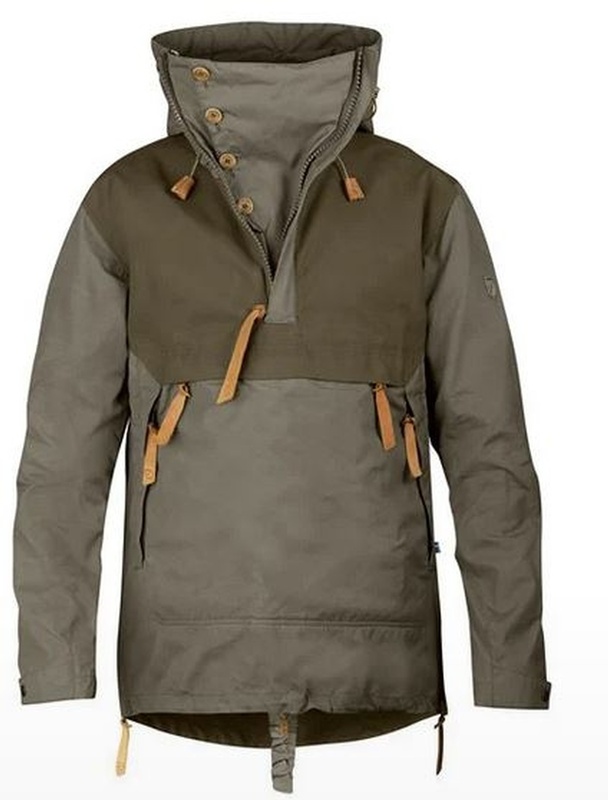 Excellent quality, tough, highly versitile and comfortable outdoor anorak from Fjallraven of Sweden. This is an excellent outdoor anorak and offers great movement and ventilation, is very comfortable and gives excellent acces to gear and is highly breathable. Its tough, made form the G1000 Polycotton with the HD G1000 on the shoulders and elbows and lower back, well stitiched with quality zips and seams, very well designed, this is a top class outer layer. Advanced anorak for demanding treks throughout the year. Made from G-1000 Eco and G-1000 HD with adaptable storm hood, plenty of ventilation and practical pockets. 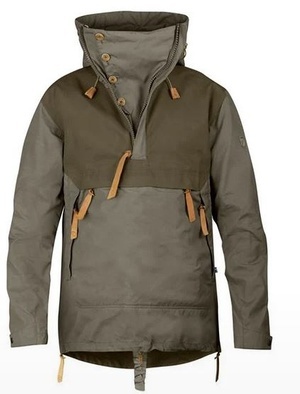 Anorak No.8 was created to withstand tough conditions in the forest and mountains throughout the year. The hood can be adjusted for a perfect fit around the head, and a new visor construction means that you can fold the visor back from two angles, depending on whether you want maximum wind protection or more peripheral visibility. When not being worn, the hood forms a high collar that keeps your neck warm. In warmer weather, the zipper can be unzipped and the opening unbuttoned and folded to the side to release excess heat. There are also long zippers in the sides of this anorak that can be opened for ventilation and make it easier to put on/take off. The large kangaroo pouch in the front can be accessed both from the top and the sides. A drawcord in the back regulates the waist and another drawcord in the front adjusts the hem. Buttoned sleeve cuffs. The anorak is made from wind and water resistant G-1000 Eco in recycled polyester and organic cotton with extra strong G-1000 HD at the shoulders, sleeves and the extended back. The fabric and details were chosen to minimise their impact on the environment - for example most of the leather details are made from leftover pieces of leather - and to make it easy to replace exposed sections after years of use. Purchase through PayPal by using the "Add To Cart" button above or use the form below to order the Fjallraven Anorak N08 Dark Olive . 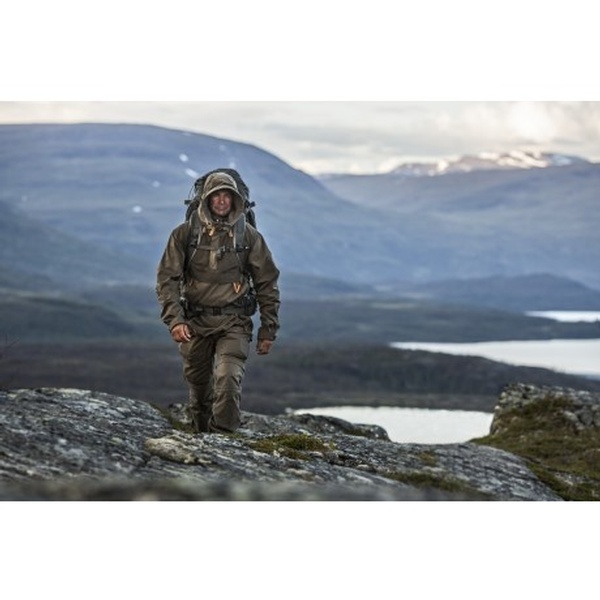 Feel free to contact us if you have any questions about the Fjallraven Anorak N08 Dark Olive .